We’ve begun re-porting graphics tablet (wacom) support back into Cinnamon. The affected packages are cinnamon-control-center, cinnamon-settings-daemon, and cinnamon itself. b) Build cinnamon-control-center from git. c) Build cinnamon off branch wacom instead of master. This will include the new module in cinnamon-settings (the specific commit is https://github.com/linuxmint/Cinnamon/commit/d060c40c8d51610e0f38809f9d4c881ea7efb3aa). Currently, in -settings-daemon and -control-center, missing dependencies/versions for wacom will not break the build – the wacom plugin/module will simple be skipped. So be sure to check the build logs for Wacom support: true. Please let us know what, if any, issues you encounter in testing. I’m over at solydxk now using the kde version (I like the rolling stuff), but I’ll post this to the threads that were concerned about this and see if I can snag ya some testers for this, I’m dee would test it out for you if she is using 16. Thanks again a much needed add on for us tablet users. Nice to see some more work on cinnamon. Is HiDPI support also considered? Devices with crazy resolutions are becoming very popular. Yes – HiDPI is definitely on our list. Nice! and ‘season greetings’ too. I’ll test it. I should give this a try, one of these days. I do own a small Wacom tablet. It’s working, but not fully working. I’ve tested this with Wacom Bamboo Pen CTL-470 and the new Wacom Intuos Pen&Touch/Manga CTH480. – All pen settings -> Eraser and Tip pressure feels (tested on gimp) and both button options are working. – Tablet -> Tracking methods, Left-handed are working for both tablets, and Map to monitor (only got one monitor but it seems to bee working) so Bamboo Pen is fully working like before with the gnome gui. – Tablet Intuos CTH480 -> Button mapping is not showing/working. I got that tablet today and got it working with the new input-wacom drivers so maybe this is related why your gui is not fully working. Not sure. First time i’m using a tablet with buttons and touch on linux, but i saw this: http://libregraphicsworld.org/blog/entry/linuxwacom-0-14 and it shows that map buttons are supported on the gnome version. 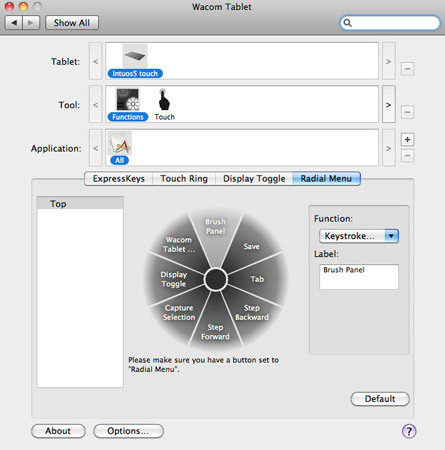 So this is not working because cinnamon gui dont have yet this implemented/the gui is not ready for the table because it’s really new (the name is shown correctly, “Wacom Intuos PT S Pen”, but only that button option is not showing/maybe the x11 driver is not ready (i have the last one also form git). Btw, this great so big thanks!!! Hi, thanks for testing this. It sounds like everything works, I just need to bring in the latest version – I imported the Gnome 3.8 code, so I’m a version behind – I’ll see about bringing in the latest, at least support for the newer tablet. calhaus not sure if yours is fully supported yet at the driver site, it was targeted for 20 to work but from what I read it isn’t really clear yet how much or how far they got on it yet, I left you a message about it on the forum post you replied to. version 20 cam out on decemeber 1 just not sure how far they got yet. I think mine is fully supported since the 0.20 version. Btw yesterday i’ve also installed the last git drivers for xorg, the xf86-input-wacom driver. I’ve restarted after intalled both and my express keys were working like everything! I don’t know for sure if it was because of the kernel or xorg drivers, but they are working with the default shortcuts. -The keys are working, so it’s not a problem with the drivers. -It’s a problem with the gui most likely, because it’s not in the latest version (from gnome 3.10 or future version), or other type of bug the gui not identifying the express keys for mapping. @mtwebmaster did anyone sent you more feedback? I noticed Deevad had older tablets, so he/she can tell if the mapping buttons (and other functions like screen calibration) are working and you can see if the problem is only on newer models or not. Also, i think the ‘xsetwacom’ commandline has the abilty to map buttons, i’ve only used it to rotate the screen because i’m lefthanded but i will report it later and confirm if the paping is working with this. The name usually is female but dee is david. Just to promote some of your great work here’s dee’s devaintart site. So, today i’ve tested the xsetwacom for buttons, and it works. The problem with the mapping buttons option not showing is on gnome side, i read this on the mint foruns. To set the buttons in xorg or with xsetwacom, the numbers are in order from top to bottom, left to right 3, 1, 9 and 8. This was probably fixed already in the new gnome version, if you could post it i would be glad to test it. P.S. :I’ll be watting for that new version on git or in the official ppa. For now i’m using some bash files to configure the keys. Unfortunately ; I was unable to build, and test. I use a system with Gnome 3.10 + Plank + a lot of extensions and Nemo as a filemanager. So I have a system cross-mixed between Gnome-Cinnamon-Elementary and KDE for the needs of building Krita ; my painting apps. So, when I tried the build; I ended with a half working sys ; I probably missed some dependencies or component. Since, I made a vanilla install again. True, gnome 3.10 wacom panel looks impressive. Off-topic: @Deevad, can you give me some tips with mapping keys? What are the main shortcuts you use in the tablet? Do you know if is there a way to map different functions on a button depending on the open application? for example the same tablet button to emutate the key ‘e’ on chrome and the ‘shift+e’ on gimp for exemple? P.S. : Your dA is amazing!! Will we see it in the new version (17) of Linux Mint by default? Works like a charm for me ! Just installed Linux Mint 16 and i was desperate to get my Wacom tablet to work. I was almost turned down. This needs to be the default. I might get a couple of tablets soon to play with – a Samsung Galaxy and some cheap small one dunno the name yet..lemme know if you wanna turn them into guinea pigs. I can try this with new Wacom Cintiq 24 HD Touch in Linux Mint 16 Cinnamon 2.0. I just need step-by-step guide for really REALLY dummies how to build cinnamon-settings-daemon from git and install librsvg2-dev prior to building! Not sure, if it is off-topic…. If you are still in need of further testing, I have access to a Huion 680s that I can try out. I might try this tonight or sometime this week. Could you post a quick run down of how to get git working and how to build these additions? I’m sure I’m going to get scolded, but this is leading up to tablet functions. I know that in the Mint forums most people are adamant that “Mint is a keyboard and mouse desktop, not a tablet. If you want a tablet version you are better off with some other distro or Android”. Hopefully this post isn’t going to cause grief, I know some touch functions in the base Mint+Cinnamon v16 work, but onscreen keyboard was a completely non-functional thing. Target machine was an Acer w500 tablet with AMD C-50 APU that I used for testing things since it is sitting around anyway. I would like to put mint on my nexus 10, i will need really easy instructions. What is the current status of this? Have the changes been merged into the lastest master or what? And uh, just to reiterate, this is not for a Nexus tablet or any Android tablet. 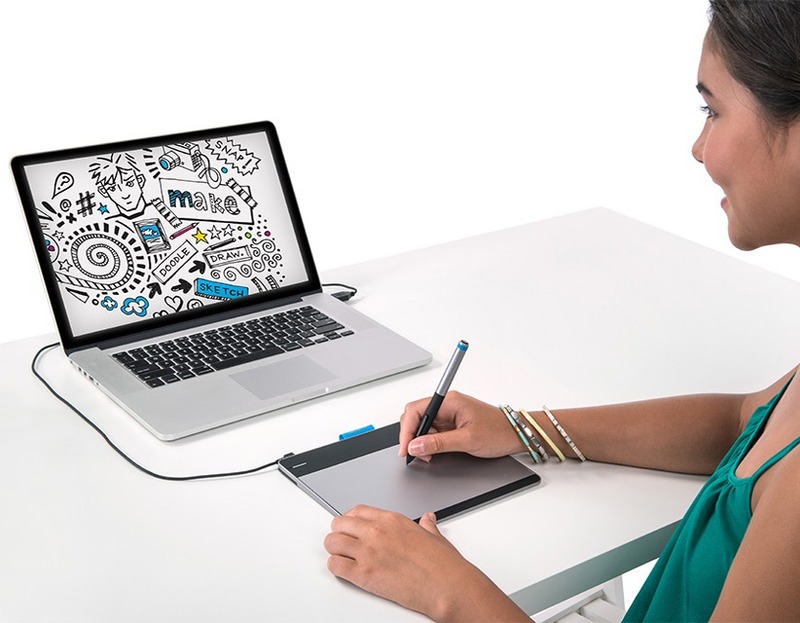 It’s to integrate Wacom tablet peripherals with Cinnamon. @mtwebster when will you update it to the last version of gnome? I’m really really anxious to be able to set action to my tablet buttons and also different actions to the pen than the default ones from a gui. I looked some videos oof the gnome 3.10 wacom gui and it looks impressive. I’ve been trying to build from this git master branch for Cinnamon, so that I can have a gui to set my tablet settings. I tried KDE but the control center applet kept notifying with ~”graphics tablet error profile ‘default’ does not exist” and wouldn’t actually set anything. The guide here was helpful http://segfault.linuxmint.com/2013/10/how-to-build-and-install-the-latest-cinnamon-from-git/ I only cloned the two listed in your build steps. I built them in the wrong order first, that may be partly the problem. I seem to be stuck at this error message. Potentially irrellevant guess: CSD_ is the prefix for Cinnamon Settings Daemon? Whatever the issue; I’m stuck. Can you help? apologies for how greedy I sounded. I would like to help… Although perhaps theres some skewed judgement with my motivation. (Btw never test SAI in linux it would be nice if it works good with pressure. I’m trying to get my bamboo create working with paint tool sai, and would love to spend time software testing and giving feedback. Just to let you know that those packages are working with an Intuos 2 (quite old). However I needed to build and install input-wacom 0.20 to have this tablet working. Hi guys, I’m a Mint 16/Cinnamon/Wacom Cintiq user. Just curious what the current status of these changes are? How long until the changes will be available through the ‘Update manager’ repositories? What is the best/safest way to get my Cintiq working with my new Mint 16 installation? Use GNOME instead of Cinnamon? Install drivers from the Linux Wacom Project? Running LinuxMint 17 Cinamon. Have the Wacom Intuos 3 tablet and 3 monitors connencted to my system. 2 via DVI and one HDMI. The mapping works when I set the mapping to HDMI it limits the pen to that monitor. When I set it to DVI-I-1 or DVI-D-0 the pen is limited to the same monitor. It does not matter which DVI monitor I select it always maps to the same (in this case the wrong) monitor. I was able to get around this by changing the DVI port the monitors were plugged into. It seems that the mapping will only map to “DVI-I-1” which is the first dvi port on my video card and will not map to “DVI-D-0”.